The Matinee September 1st includes some awesome new songs to get you ready for the long weekend in much of the world or celebrate Father’s Day in New Zealand and Australia. We hope you find your new favorite track or band, who come from Canada, Norway, Sweden, England, and the USA. We kick things off with a band that has emerged as one of the year’s biggest surprises. In just a short period of time, Wy have moved from a little hidden gem from Sweden to being one of the country’s breakout stars. For us personally, they have become one of our favorite discoveries of the year, and a band of which we cannot get nearly enough. As we generally list The Matinee alphabetically, we changed things up and had to put Wy at the top for once. When you hear their newest single, “You + I”, you’ll understand. 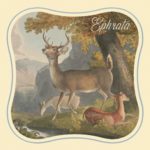 Just like what they did with earlier singles “Bathrooms” and “What Would I Ever Do”, Ebba and Michel have crafted an emotionally-charged, spell-binding number that is among the most gorgeous songs of the year. Michel’s production work and his dissonant guitar are quietly sensational. Like Michelangelo, he swirls together delicate elements to create a piece of stunning art. Ebba then is Rothko, whose graceful and serene vocals blast through the canvas and captivate. There is simplicity yet fine detail in every note she sings. Her story, as always, is personal and vividly real for many of us. It is the tale of a person struggling with social anxiety, but next to the one person everything is perfect. This song is perfect. Wy’s debut album, Okay, will be released October 20th via Hybris (Sweden) and Better Call Rob (Germany). That day will a spectacular one. Speaking about fast-rising bands, Norway’s Sløtface have experienced a meteoric rise this year. Their music is brash but fun, edgy yet addictive, and always intelligent. This combination made them a favorites of our last year when they were still finding their legs, and we hoped for great things for them after listing them as one of our Artists to Watch in 2017. This is one of the few times we’ve been prophetic, but that wasn’t a hard decision since this band continues to roll out face-smashing anthems like “Backyard”. Just how it sounds, this song is an absolute party! It’s also extremely funny in a Pavement kind of way. Channeling her inner Stephen Malkmus, Haley Shea describes some of the band’s crazy antics at home. They’re mischievous, sly, and even a bit reckless, which are ways to describe this song. The song, however, is more than just a bunch of young people enjoying themselves. It is also a song that celebrates life in general. “We are adventuring in our backyard”, hollers Shea to demonstrate that there is more to life than our mobiles (or cellphones). So this weekend, do as she says and find some excitement in your backyard! If you don’t have one, go to your friend’s place and find some entertainment. 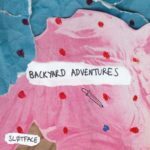 Sløtface‘s debut album, Try Not To Freak Out, arrives September 15th via Propeller Recordings. Pre-orders available here. This should be the most exuberant album of the year. The band is comprised of Haley Shea (vocals), Lasse Lokøy (bass), Tor-Arne Vikingstad (guitar), and Halvard Skeie Wiencke (drums). We now go from a new favorite to one of our firsts. Ephrata is the little band that can, at least in our minds. 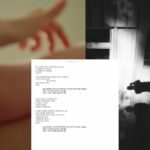 The dream-pop shoegazers / choral-pop quartet from Seattle have an uncanny knack of putting a smile on your face with their music. At times, their music can be quirky and humorous in a Belle and Sebastian sort of way. Or it can be euphoric and uplifting a la Slowdive. Often, though, it’s both, just as demonstrated by “Tunguska”. First, the music is outrageously addictive and entertaining. The reverb-drenched guitars, the happy-go-lucky bassline, and the lush harmonies are smile-inducing and radiant. Together, they feel like the beautiful sunshine beaming down on our bare heads on summer weekend at the beach. But in typical Ephrata fashion, their story is based on an actual event. In the early part of the 20th Century, a huge explosion took place near the Stony Tunguska River in Russia. The cause of the incident is unknown, but something a meteor or comet crashed landed here. So when you hear the band sweetly sing, “So run, run for your lives”, think of all the people watching this fireball streak across the sky and directly at them. And maybe one days, Ephrata will have a shooting star named after them. Their self-titled debut album will arrive on September 22nd. Ephrata are Skadi Von Reis Crooks (guitar/vocals), Brady Hall (guitar/vocals), Jules Jones (bass/vocals), and Ben Bromage (drums/vocals). Great News have a new track called “Wonderfault”, and it’s a psychedelic, dream-pop masterpiece. The Norwegian outfit keep impressing us with each new release which clearly displays the band’s diversity. Not only is this track an audible gem, the lyrical content also preaches self love and acceptance. 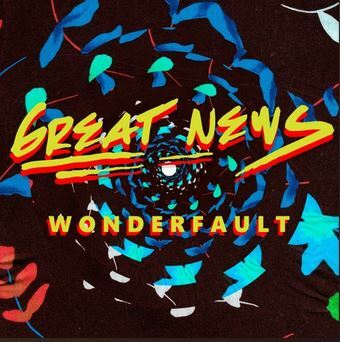 “Wonderfault” is the first single off of Great News’ upcoming album of the same name. After listening to this track and feeling upbeat and full of love, we want to go out and hug a stranger. Great News are Even Kjelby (guitar, vocals) Ole Einarsen (bass) and Lars Platou (drums). How these three gents remain unsigned is a mystery. Michael Malarkey is set to release his debut album, Mongrels, later this month, yet he’s one of the UK’s most popular singer-songwriters. Listening to his new single, “Uncomfortably Numb”, explains everything. It’s a great track that speaks to dealing with everyday internal struggles in life and how it affects relationships with others. 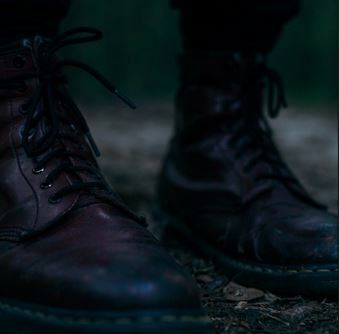 Mr. Malarkey’s undeniable vocals are set against an almost indie-folk structure, yet in “Uncomfortably Numb” a soulful rock vibe seeps through. The combination is impressive, as it creates the feeling of a midnight soiree. Each release from the new album has been a solid showing from this multi-talented actor and musician. Mongrels will be released September 8th via Cap on Cat Records. Sometimes there are renditions or covers out there that just need to be shared. 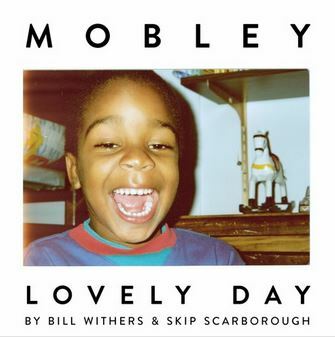 The “Lovely Day” rendition by Mobley is one of them. The multi-talented artist was actually approached by ESPN to record a cover of Bill Withers’ classic. How’s that for jump-starting one’s career? After watching the documentary Still Bill and stepping into the studio, the final result maintained the essence of the original yet providing a very Mobley-fied version. It’s vintage soul and R&B yet modern. It’s sultry yet fresh and vibrant. This track, as such, will immediately put you in a great mood and get your holiday weekend started off right. Look for more from Mobley as his much anticipated album Fresh Lies will be out later this year. The young man is immense talent. “All Along” is a great mix that combines lo-fi acoustic and reverberating synth. The vocals of Mr. Oliver completly enamor the listener and possibly force hitting repeat. Keep an eye on Nightshifts as a song a month release will be on the horizon for this up and coming artist. 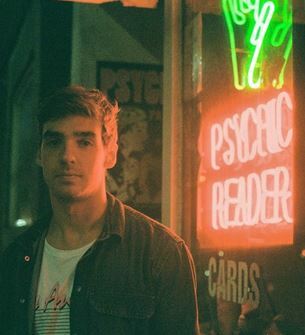 “All I’ll Ever Know” is the newest release from indie rocker quintet OWEL. The track is anthemic and a complete indie power rocker that reminds of some great mid to late ’90s bands like Coheed and Cambria or Midtown. 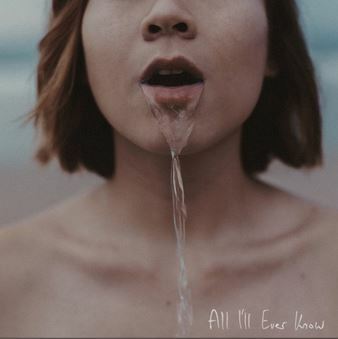 “All I’ll Ever Know” was recorded during their sessions for their 2016 album titled Dear Me, yet it’s just now being released for the first time. “All that I’ll ever know is need. All that I’ll ever take is it all. We are becoming new fans of OWEL, and their previous album is quite solid. The future is limitless for this talented band. Back in June, we said it was time to start watching Other States very close because the sextet is making some of the most refreshing and exciting indie rock on the planet. They’re not just unfurling blistering guitars and throbbing rhythms, but they’re turning the genre into something outrageously theatrical. 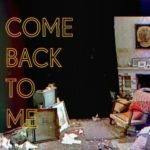 Case in point their new single, “Come Back to Me”. This song should have been on television shows back in the ‘70s and ‘80s like Flash Gordon or Hart to Hart. A spaghetti western vibe infiltrates the song while the backing vocals are reminiscent of the doo-wop days of the ‘60s. Mark S. Baron’s booming vocals, meanwhile, has a Matt Berninger, crooner-like baritone, and like The National frontman his voice is delivered with a delicious swagger. But he’s anything but a confident dude on this track. Instead, he’s a desperate, down-on-this-luck drifter hoping for one last chance. With another stellar tune that reminds of the classic TV shows and films, maybe this band should just write their own movie. Now that would be something. Other States are Mark S. Aaron (lead vocals), Mike Lord (piano/backing vocals), Cameron Dawson (bass), Max Numajiri (guitar), Chris Boot (drums), and Lb (percussion/backing vocals).